In recent years the constitutional landscape of Southeast Asia has changed tremendously. Against a worldwide background of liberalization, globalization, and democratization, states in the region have begun to alter their constitutions, reinforcing human rights provisions, and putting in place institutional safeguards, such as constitutional courts and human rights commissions. On closer examination, however, the picture is very complex, with constitutional developments differing greatly between states. This book explores a range of current constitutional developments in the different states of Southeast Asia through a distinct political lens. 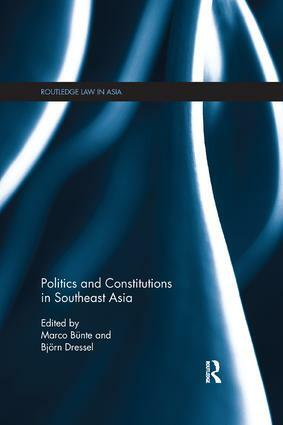 Drawing on comparative and single case studies, it considers various constitutional areas, including constitution drafting, human rights, legal safeguards and the continuing role of the military, sets constitutional developments in the wider political and historical context of each country, and makes comparisons both with Western democracies and with other developing regions. The book concludes by assessing overall how far constitutional practices and trajectories are converging towards a liberal Western model or towards a distinctly Southeast Asian model. Human rights in Southeast Asia: from contestation to compliance?